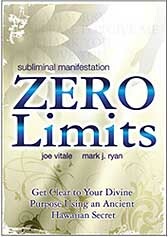 -– Read our review of the "Zero Limits II Seminar – Live from Maui"
Joe Vitale has done a lot of great radio interviews where he explains in great detail his experiences using Ho’oponpono. You can subscribe and listen to his podcasts for free by clicking the RSS icon below. "Does Memory Reside Outside the Brain?" Below you will find a collection of nearly all of Dr. Ihaleakala Hew Len's radio and video interviews, etc., since 2006 in chronological order, more or less. Most appearances have been in tandem with either Joe Vitale or Mabel Katz. If we have left out any interviews he has been a part of, please inform us by sending an email to: info@miraclesandinspiration.com. Listen to this radio interview here. Ho'oponopono with Dr. Ihaleakala Hew Len and Mabel Katz | Interview on Karmacaffe Radio | Blog Talk Radio | December 24, 2008 | Time: 1 hr. This interview can be found in Karma Caffe Blog Talk Radio archives. Ho'oponopono with Mabel Katz and Special Guest, Dr. Ihaleakala Hew Len on No Out There Radio | Blog Talk Radio | December 17, 2008 | Time: 1 hr. 30 min. This interview can be found on the No Out There Blog Talk Radio archives. Dr. Ihaleakalá Hew Len teaching Ho'oponopono in Japan | November 13, 2008 | Time: 10:01 mins. Ihaleakalá Hew Len Private Interview with Mabel Katz - 1 (English) from Mabel Katz on Vimeo. Ihaleakalá Hew Len Private Interview with Mabel Katz - 2 (English) from Mabel Katz on Vimeo. Spend two (2) unforgettable hours with Dr. Hew Len and Mabel Katz learning Ho'oponopono and two amazing interviews Mabel did with Dr. Hew Len. Learn more about this DVD interview at Mabel Katz's web site. In this conference at the Learning & Understanding Institute, Mabel shares how to resolve problems in an easy way and Dr. Ihaleakalá reminds us who we are and our relationship with money. Learn more about this conference on CD at Mabel Katz's web site. 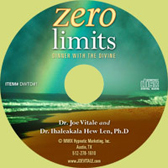 Conference with Dr. Ihaleakalá Hew Len and Mabel Katz – Dr. Ihaleakalá's Presentation at a Live Conference in Los Angeles - English & Spanish. – Wednesday, June 14, 2006, 4-5 pm Pacific (7-8 pm Eastern) on 1320am radio in Rhode Island and live on the web DR LEN returns to walk us thru Ho'oponopono. Dr. Hew Len has extensive experience in working with the developmentally disabled and the criminally mentally ill and their families. The Ho`oponopono process is central to his work as an educator. He lectures and conducts the Ho`oponopono training throughout the world.. Tune in to hear an amazing tale of real world results at a ward for the criminally insane in Hawaii State hospital in 1967 & find out that working on our OWN energy can truly transform the world. You do not want to miss this special broadcast with Dr Len as we're going to delve deeper into Ho'oponopono. This interview can no longer be found in the Tributaries Radio archives. Click here to listen to this event.